The World Health Organization predicts that diabetes will be among the top 10 causes of death globally by 2030. According to the CDC, if this trend continues, one in three Americans will have diabetes by 2050. It was Hippocrates, the Father of Medicine, who told us over 2000 years ago that “All disease begins in the gut”. Today it has been proven that the health of our gut has a big impact on our overall health – from immunity to brain function. And the health of our gut largely depends on the balance of the trillions of microbes within us (and on our bodies). Your gut alone contains three pounds of bacteria. These microbes carry out numerous vital processes. They produce nutrients like vitamin B12 and vitamin K. They assist in the digestion of food and elimination of waste. And they help to regulate hormones and aid in detoxification – to name just a few. But, of courser, not all gut bugs are good bugs. As we shift the pH inside our digestive system with processed foods, chemicals, drugs and alcohol (to name a few), we can tip the balance in favor of the “bad guys. 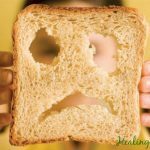 This imbalance is called dysbiosis and it is a key factor in promoting chronic inflammation, autoimmune disorders, food allergies, nutritional deficiencies, mood disorders, certain forms of cancer… and even diabetes. Get your gut health in check to prevent – or mitigate – diabetes. A recent study published in the journal Nature, discovered that those with Type 2 diabetes had high levels of hostile bacteria. Similarly, children with Type 1 diabetes were found to have noticeable differences in bacterial levels compared with healthy children. Specifically, the researchers found imbalances in optimal levels of butyrate-producing bacteria – the same bacteria connected with a reduced risk of colorectal cancer. Butyrates are short-chain fatty acids. They are produced by gut microbes when we consume fiber-rich foods. These compounds can exert a powerful anti-inflammatory effect both inside and outside of the intestine and are well documented for their beneficial effects on insulin resistance. Unfortunately, modern diets high in sugar, refined grains, additives and preservatives, along with chlorinated water, pesticides and antibiotics support the growth of hostile bacteria… while decreasing the numbers of our healthy butyrate-producing flora. Along with consuming the foods that promote an overgrowth of unhealthy strains, we also don’t consume enough of the right foods to populate the gut with beneficial bacterial strains. When it comes to the microbes in your gut, balance is the key. So how can we optimally balance our microbiome to lower our risk of diabetes and other preventable disease? Be a Dirt Lover: Our ancestors obtained a lot of their probiotic bacteria from the soil. These bacteria, called soil based organisms (SBOs), have a profound beneficial effect on digestive balance. Consume fresh, organic veggies raised in healthy soil and don’t make them “squeaky clean” before consuming. You can also purchase supplements containing soil based organisms. Get Your Prebiotics: Many vegetables – especially onions, jicama, garlic and leeks – contain powerful prebiotic fiber that provides important nourishment for those butyrate-producing gut bacteria. Pass on the Pesticides and Antibiotics: Choose organic, pesticide-free foods to prevent wiping out the good bacteria you are working so hard to nourish. Similarly, grass-fed meats, organic pastured poultry, organ meats and wild caught fish are free of antibiotics, which allow good bacteria to remain intact. Avoid antibiotics, unless absolutely necessary. Focus on “Reflorestation”: Feed your healthy gut bacteria with good probiotic food sources including lacto-fermented vegetables (like sauerkraut and kimchi), kefir, kombucha and other foods preserved using traditional methods. Beware of Modern Products: To maintain the integrity of the gut, minimize or eliminate the use of antibacterial products. Consume only filtered or spring water which doesn’t contain chlorine, perchlorate and fluoride. And remove gut-damaging processed foods such as those containing aspartame, sucralose and preservatives, which have been shown to destroy gut bacteria. Avoid Sugar and Refined Carbohydrates: Reduce and eliminate sugar along with processed grains. These foods and ingredients can actually feed the growth of hostile microorganisms. Nearly every day we hear from people who are struggling with extreme fatigue, unexpected weight gain and a slew of health issues they can’t seem to explain. In many cases, their symptoms may have the same root cause – in the gut. Here he also details four “digestive lies” that could damage your health. And be sure to see #2 – a common “health” recommendation that can be positively dangerous. He also reveals a 10-second remedy that can help revitalize your digestive system.